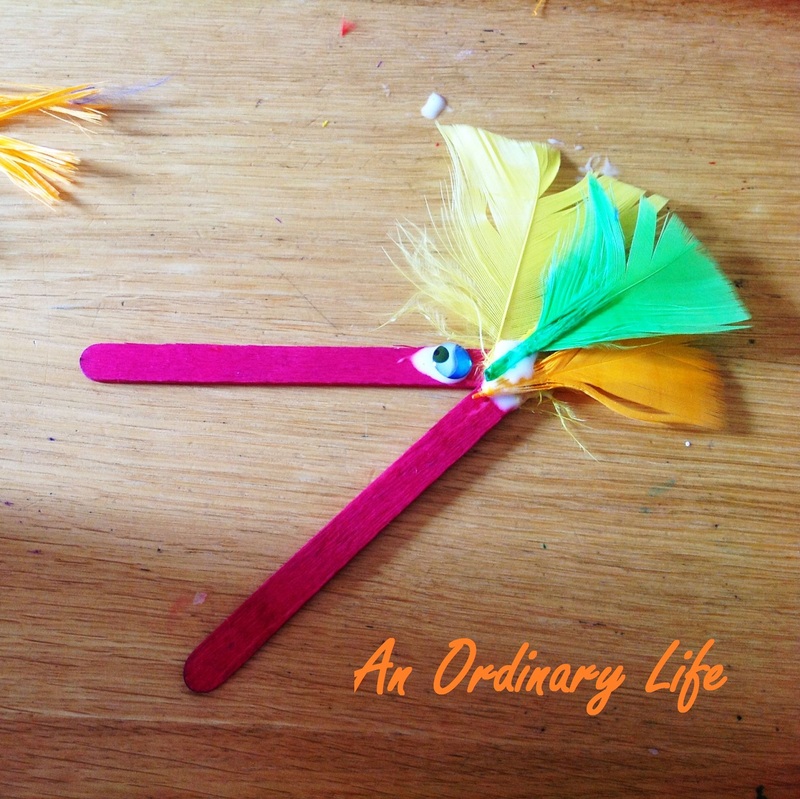 An Ordinary Life : A lolly stick birdy! First of all, all you need is 2 lolly sticks, a googly eye, feathers and PVA glue. Add a small drop of glue and a googly eye about 2 cm away from the corner of the V then in the corner of the V add a drop more glue and some feathers! And it's finished! Just leave it to dry for an hour or two or over night then your little person can play with it. They might even like to try it out some of this maths with their newly made friend too.